The tasks of the University Council are set out in the Universities Act 2002 (Universitätsgesetzes 2002), § 21. The term of office is five years, starting with 1 March 2018 and ending with 28 February 2023. Since 2003, Karin Schaupp has been working as a freelance management consultant and has specialized in innovation transfer and strategic corporate development. She is a member of the Academic Council of the Austrian Academy of Sciences and a professor at the University of Graz. Born in Styria, Karin Schaupp studied pharmacy at the University of Graz, from which she received her doctorate in 1978. Karin Schaupp worked as an assistant professor and subsequently entered the pharmaceutical industry. After holding various positions in international research, development and product management, she moved into management. Recently, after holding several executive and regional management positions, she acted as a member of the management board at Fresenius Kabi AG in Bad Homburg with responsibility for their worldwide business activities. Karin Schaupp was a member of the Austrian Council for Research and Technology Development (RFTE) until September 2015 and is currently also active as a member of various supervisory boards. Since 2016, she has been a member of the Supervisory and Advisory Board of the Fraunhofer Austria Research GmbH and the Academic Council of the Austrian Academy of Sciences (ÖAW). 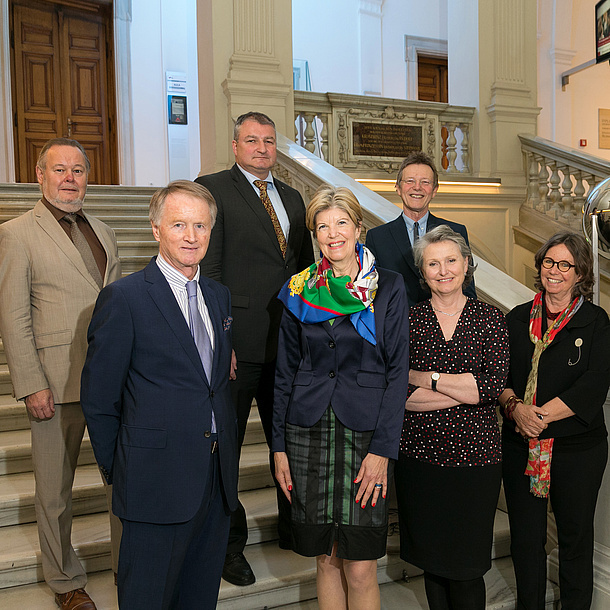 In October 2014, Karin Schaupp was appointed as a University Professor at the Department of Corporate Leadership and Entrepreneurship in the area of innovation management and technology transfer at the University of Graz. Jochen Pildner-Steinburg is managing partner of the GAW Group and AURUM-JPS Vermögensverwaltungs- und Beteiligungsges.m.b.H. [AURUM-JPS Asset Management and Membership Market Business m.b.H.]. Since 2016, he has acted as the honorary President of the Federation of Austrian Industries in Styria. Jochen Pildner-Steinburg studied social and economic sciences in Vienna and Graz. From 1972 and on, he worked as a commercial employee in the family business GAW (Grazer Armaturenwerk GmbH), a global consortium of companies for industrial plant construction and mechanical engineering. From 1974 to 2016, he acted as the sole managing director. 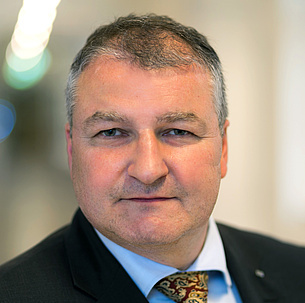 Jochen Pildner-Steinburg is a board member of the Federation of Austrian Industries (IV) and acted as the President of IV Styria from 2004 to 2016. Up until 2017, he was also the Chairman of Innoregio Steiermark and from 2004 to 2016, the Deputy Chairman of the Industry Sector of the Styrian Economic Chamber. Jochen Pildner-Steinburg is an honorary member of the Austrian Managers Association in Styria, the Chairman of the Denkwerkstatt in Styria and the Chairman of the Verband für Standort und Gesellschaft Steiermark. He is also the Deputy Chairman of the Supervisory Board of Sattler AG and was a member of the University Council at the Medical University of Graz for five years. Jochen Pildner-Steinburg is also the President of the Graz 99ers ice hockey club and has received the highest awards of the province of Styria. Reinhard Kienberger is a professor of Experimental Physics at the Technical University of Munich. Since 2006, he has also headed a research group at the Max Planck Institute for Quantum Optics in Garching, of which he has been a research fellow since 2014. Born in Graz, Reinhard Kienberger studied at and obtained his doctorate (2002) from TU Wien. In 2004, he conducted research for one year at Stanford University, specifically at the Stanford Linear Accelerator Laboratory, having received a scholarship from the Austrian Academy of Sciences. In 2008, he was appointed as a professor of Experimental Physics at the TUM at the Munich-Centre for Advanced Photonics, part of the Cluster of Excellence of the German Research Foundation (DFG). Since 2013, he has acted as the Head of the E11 Professorship in Laser and X-ray Physics, and as the speaker of the Department Graduate Center Physics. Reinhard Kienberger conducts research in the field of attophysics. Together with his team, he uses high-energy ultrashort pulse lasers to generate the shortest light pulses in the world, which have a duration of about 80 attoseconds (one attosecond is 10-18 seconds). By using these short pulses, the electronic processes in atoms, molecules and solids can be resolved in time. The findings promise advances in molecular electronics, biophysics, photovoltaics and nanosystems. 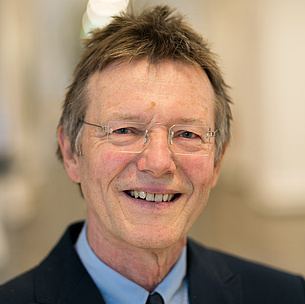 Reinhard Kienberger was awarded the Sofja Kovalevskaja Prize from the Alexander von Humboldt Foundation, the ICO Prize from the International Commission for Optics, the Ernst Abbe Medal from the Carl Zeiss Foundation and the Prize for Research in Laser Science and Applications from the European Physical Society. He has received an ERC Starting Grant and an ERC Consolidator Grant. Gabriele Krenn has acted as the President of the Styrian Bar Association since 2008. She is primarily active in the areas of labour law and commercial law and has experience in the legal form of R&D cooperations. A native of Graz, she graduated from law and social sciences programmes at the University of Graz and the postgraduate programme European and International Business Law at the University of St. Gallen. After working as a university assistant professor, Gabriele Krenn became a lawyer in 1990. After many years of successful legal practice, she founded the law firm Krenn & Kallan together with Heinz Kallan in 2012. Günther Löschnigg is a professor and the chairman of the Department/Institute of Labour Law and Social Security Law at the University of Graz and a professor at the Institute of University Law at the Johannes Kepler University Linz. He is also the President of the Grazer Juristische Gesellschaft. Günther Löschnigg was born in Graz. He studied economics, social sciences and law at the University of Graz, from which he received his postdoctoral lecture qualification (habilitation) in labour law and social security law in 1997. 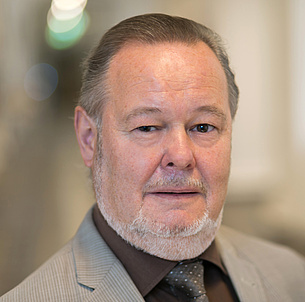 Since 2008, Löschnigg has worked part-time as a University Professor at the Institute of University Law at the Johannes Kepler University Linz and, since September 2012, as a university professor and the Chairman of the Department/Institute of Labour Law and Social Security Law. Günther Löschnigg is also the President of the Grazer Juristische Gesellschaft and supports several cultural initiatives in leading positions. In addition, he is the co-editor of a successful series of publications on Austrian and international university and higher education law. 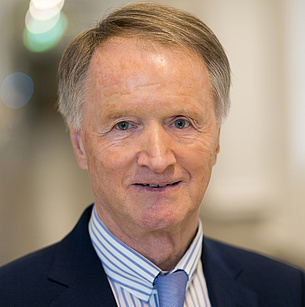 Günther Löschnigg has held numerous university positions during his career, including as a Senate member at the University of Graz and a Deputy Chairman of the Faculty of Law. He has acted as the Chairman of the Works Committee since 2004. His regular teaching and research visits have taken him to numerous international universities, and most recently to the University of St. Gallen. Johann Precht has worked as a management consultant since 2015, focusing on the promotion of renewable energies and European climate and energy law. As a lecturer at the University of Applied Sciences Upper Austria Campus in Wels, he regularly gives lectures as part of the international master's programme Sustainable Energy Systems . Johann Precht studied technical mathematics in Vienna and joined Verbund AG in 1981. From 1993 and on, he headed the Statistics Department at the Federal Load Dispatch Centre, and from 1999 to 2006, the Verbund Dispatch Center. From 1991 and on, he was active as an expert and chairman in international committees for the energy industry. As part of a Franco-Austrian joint venture, Johann Precht was sent to Paris in 2006 to act as a member on the boards of several French companies that belonged to the publicly listed POWEO Group. In this capacity, he was responsible for the operation of an extensive investment programme in the field of renewable energies up until 2015. From 2011 to 2013, Johann Precht was the Secretary General of the POWEO Foundation, which had a funding volume of 1.5 million euros for decentralised energy and water supply projects in 19 African countries. 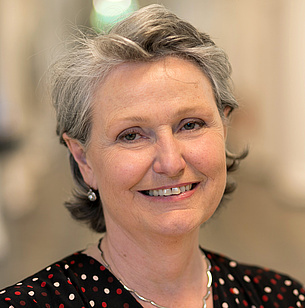 Renée Schroeder has been the Head of the Research Areas for Biochemistry and Molecular Cell Biology at the Max F. Perutz Laboratories of the University of Vienna since 2005. Since 2007, she has held a professorship for RNA biochemistry at the Department of Biochemistry and Cell Biology at the Centre for Molecular Biology at the University of Vienna. 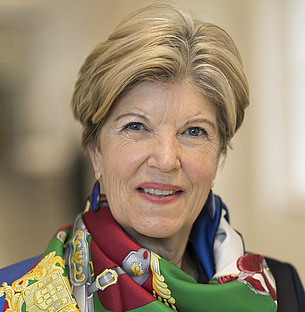 Renée Schroeder, who was born in Brazil and grew up in Styria, studied biochemistry at the University of Vienna, from which she received her doctorate in 1981. After conducting stays abroad, including a stay at the New York State Department of Health in Albany (USA) financed by an Erwin Schrodinger scholarship, Renée Schroeder received her postdoctoral lecture qualification (habilitation) from the Institute of Microbiology and Genetics at the University of Vienna. From 2001 to 2005, she was a member of the Bioethics Commission of the Austrian Federal Government and from 2004 to 2006, she acted as Vice Dean of the Faculty of Life Sciences at the University of Vienna. From 2005 to 2010, she served as the Vice President of the Austrian Science Fund (FWF). 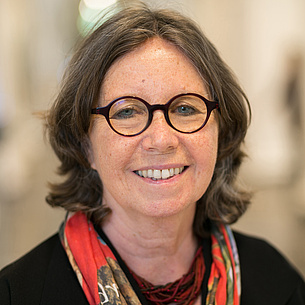 Renée Schroeder has received numerous awards, including the Wittgenstein Prize (2003) and the Decoration of Honour for Services to the State of Vienna (2015). Along with many other publications, she has written the Wissenschaftsbuch des Jahres [Science Book of the Year] in 2017, Die Erfindung des Menschen [The Invention of Man].